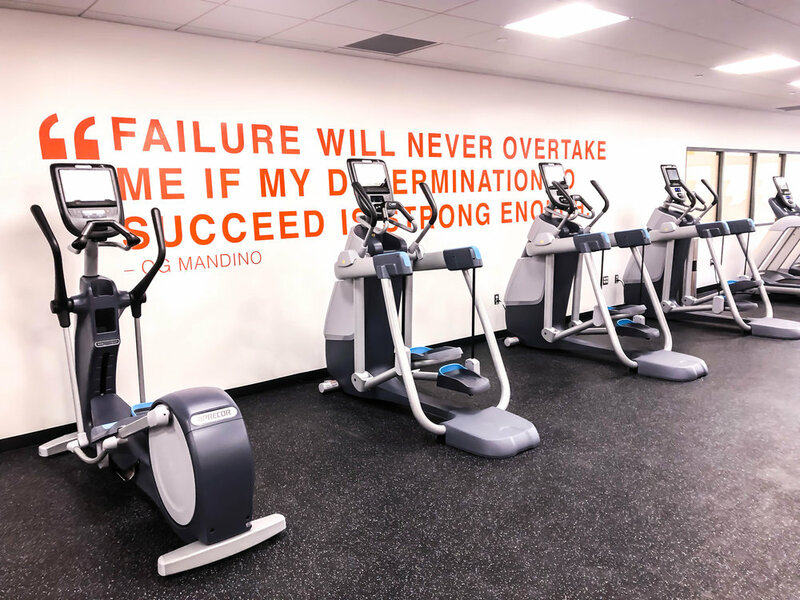 Horace Mann School aimed to give their students a state-of-the-art fitness facility when they began a large renovation project and addition to their Bronx, NY, campus. In a campaign to respond to their ongoing needs, they re-envisioned facilities to support science, student life, athletics, physical education, and health and wellness. The removal of the old swimming pool created space for the Simon Family Fitness Center, open throughout the school day to allow students to practice self-care when it is most convenient for them. 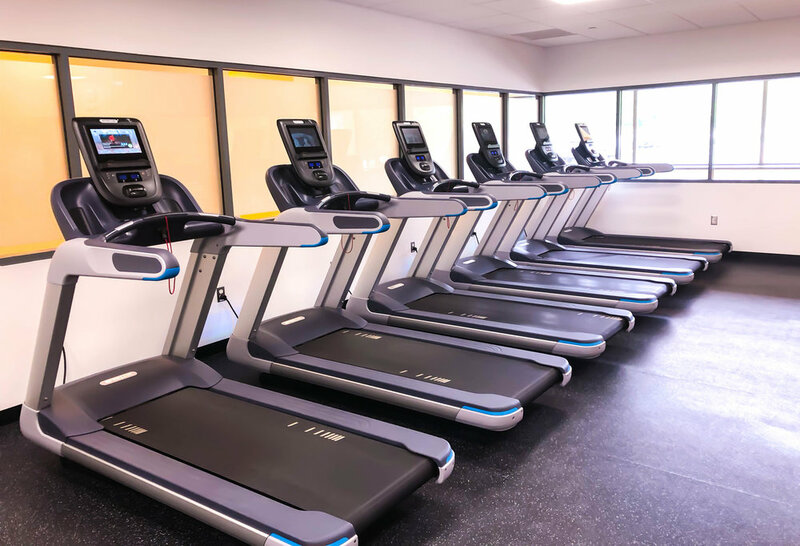 The 2,450 square foot fitness center features top-of-the-line Precor treadmills, ellipticals, and AMTs; Expresso GO bikes, along with Precor Discovery Line selectorized strength machines with Mahogany upholstery. Networked touchscreen consoles engage students on all the cardio equipment. 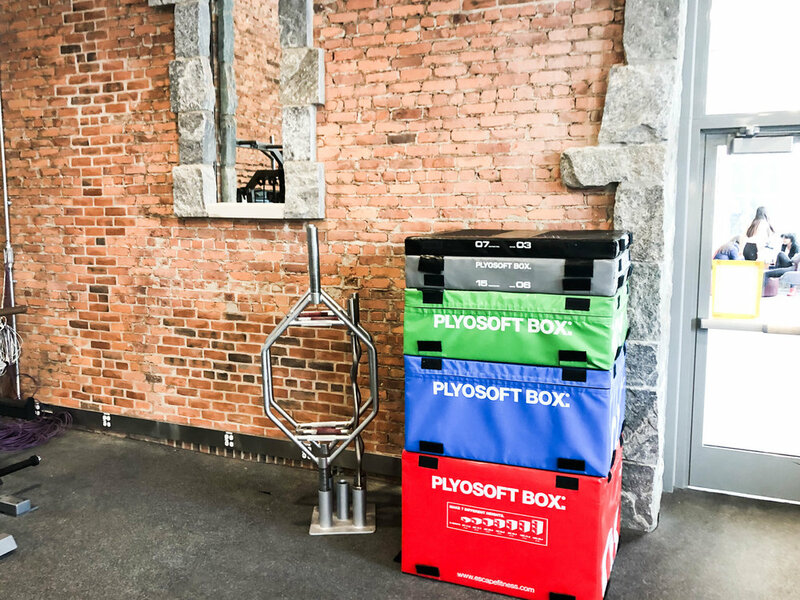 In the center of the facility, a Queenax unit is equipped with Escape Fitness accessories for functional training and group classes, and Rack5 storage units line the stairs. A separate aerobics studio features 21 Spinner® Chrono™ Power bikes. 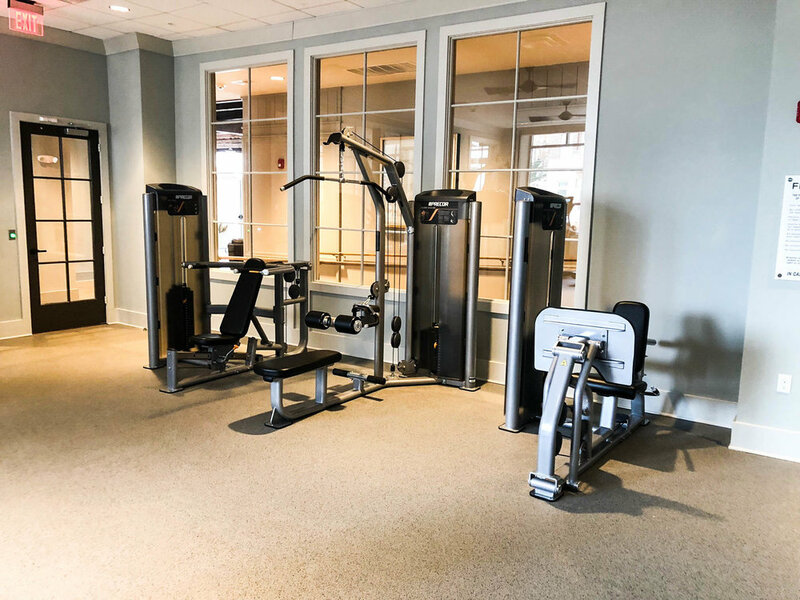 The Greene, a brand-new luxury apartment complex located in the West End Historic District of Greenville, SC, recently opened a beautiful state-of-the-art fitness facility to their new residents. 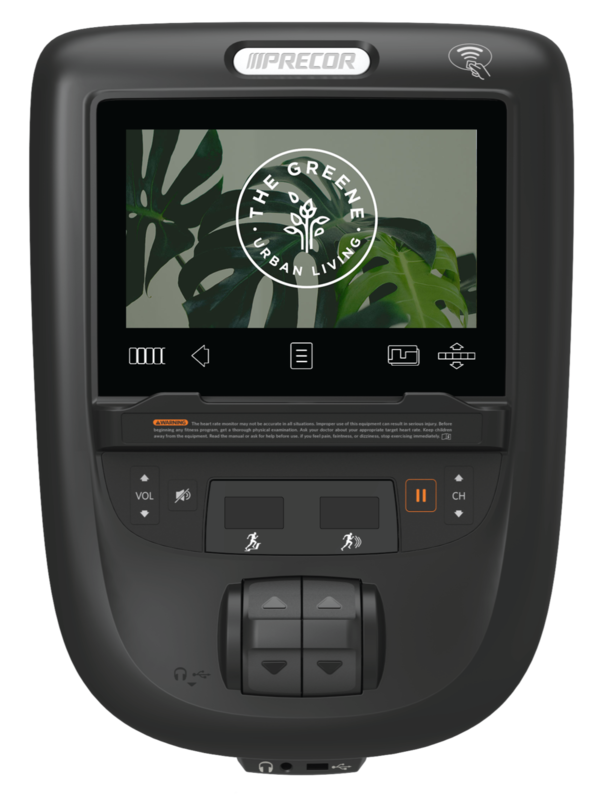 The facility features networked 10.1” touchscreen consoles with custom MyUI graphics on a mix of Precor treadmills, ellipticals, AMTs, and recumbent bikes; a Queenax corner unit for functional training; and a Nexersys Power Trainer. A space-efficient strength training area features Escape dumbbells, Precor Smith Machine, and Precor FTS Glide. Saint Mary’s School District’s brand-new 4,430 square foot fitness center is about three times larger than their previous weight room facility and is located adjacent to the school’s swimming pool center. 2018 was a rewarding year all around, as we got the opportunity to work on many great facilities. From converted racquetball courts, to corporate wellness centers, to expansive student recreation facilities, we did it all this year! Check out this list of our most impressive installs from 2018! Hackley School is a private preparatory school focused on academic excellence and building a strong community among students, faculty, and staff. The new Walter C. Johnson Center for Health & Wellness is a 115,00 square foot facility featuring sunlit common areas, a healthy café, three basketball courts, wrestling and fencing facilities, two fitness rooms, and much more. 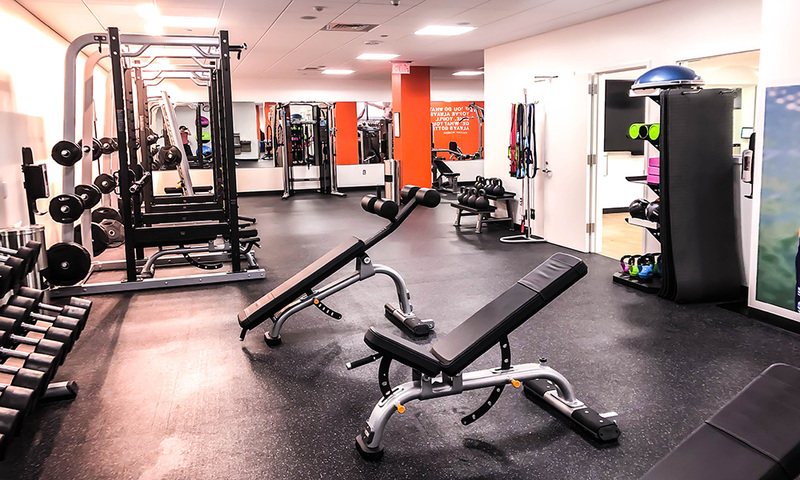 Hackley worked with Advantage Sport & Fitness to design an impressive Precor-filled fitness center and a state-of-the-art strength and functional training room. 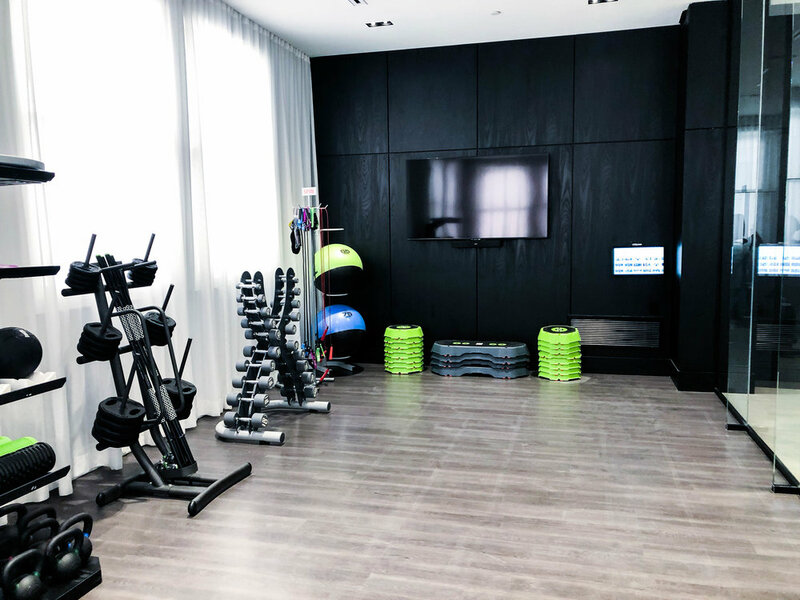 The Atlantic Apartments on Avenue of the Arts in Center City Philadelphia put a heavy emphasis on the design of their luxury fitness center. From the light box windows to marble columns, not a detail was spared on the interior - especially in the equipment. The black & white aesthetic carried through, with the latest Precor Black Pearl colorway p82 cardio pieces to the Discovery Line selectorized and plate loaded Precor strength equipment. Marist College created a brand-new fitness center as part of a four-building housing expansion on the north end of campus. This fitness center came about as a multi-step effort to relieve the pressure on the campus’ only gym, the James A. McCann Recreation Center, and increase fitness opportunities for students. This new facility features tile floors, floor-to-ceiling windows, a dance and group exercise studio, and a mix of 37 cardio machines. 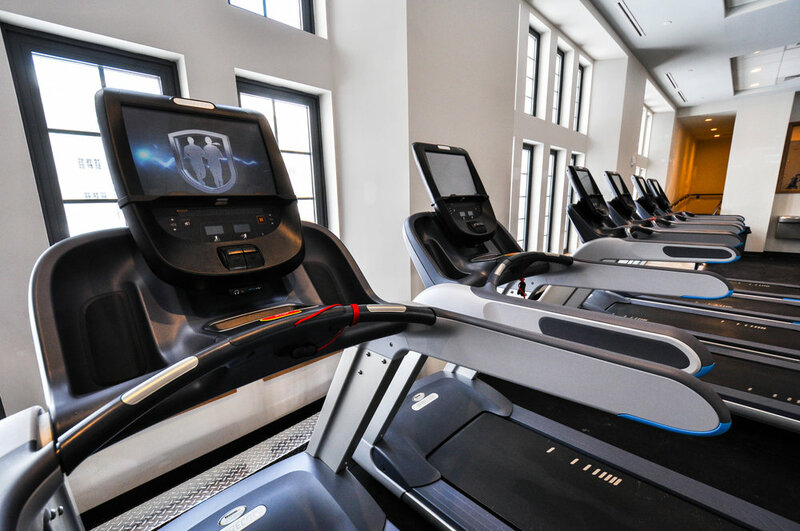 Thirteen treadmills, ten ellipticals, and four AMT’s with Precor’s best-in-class P82 touchscreens allow for networked goal-tracking throughout the facility. To round out the cardio selection, ten interactive Expresso Go Bikes line the wall. 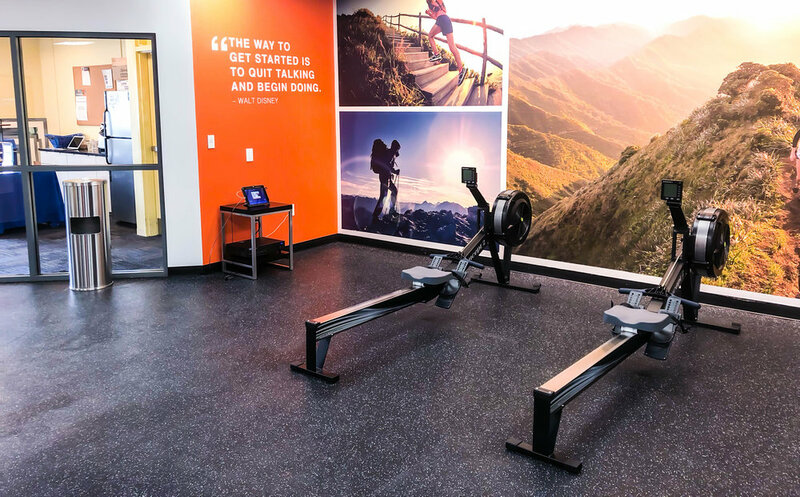 Olympus Corporation conducted a survey to determine how their employees wanted to use unoccupied space at their U.S. headquarters in Center Valley, PA. Their response was clear: a workplace fitness center. Now officially named “Mount Olympus,” the fitness center celebrated its grand opening in May 2018. The fitness center features Precor 800 Line cardio equipment, Precor Power Racks, functional training area, a WellBeats room, and Expresso Go Bikes. Demand for energizing and exciting group classes means big changes for many in the fitness industry. 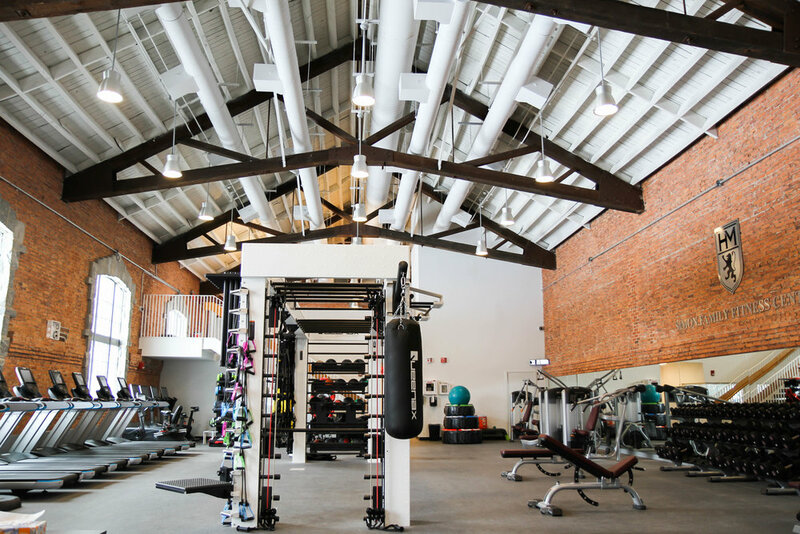 Court Jester Athletic Club embraced the trend and transformed their old racquetball courts into impressive functional fitness training rooms. Ready to upgrade your fitness center or weight room? Our article on 3 Keys to Designing A Great Fitness Facility is a perfect place to start. 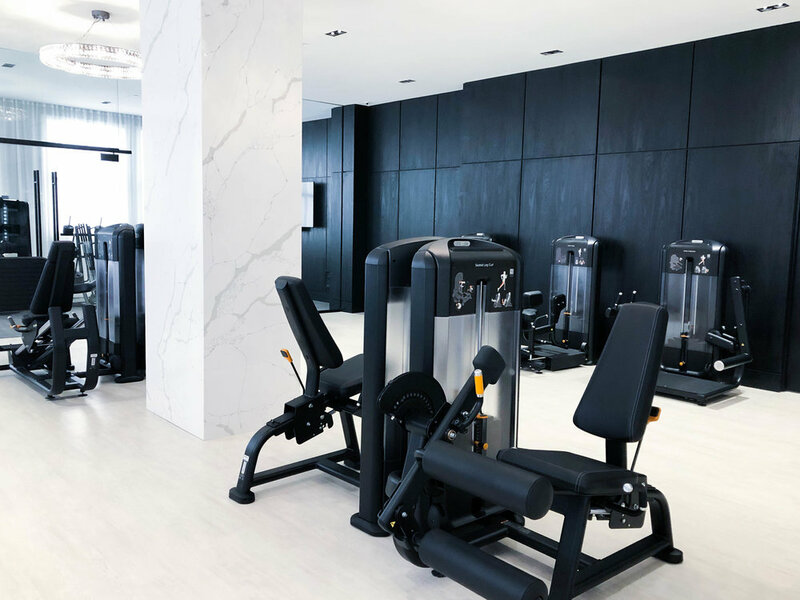 The Atlantic Apartments on Avenue of the Arts in Center City Philadelphia accounted for every detail when designing their black and white luxury fitness center. Along a window-lined wall draped with cove-lit sheer curtains runs a row of 17 cardio stations, including Precor’s top-of-the-line P82 pieces in the latest black pearl colorway. 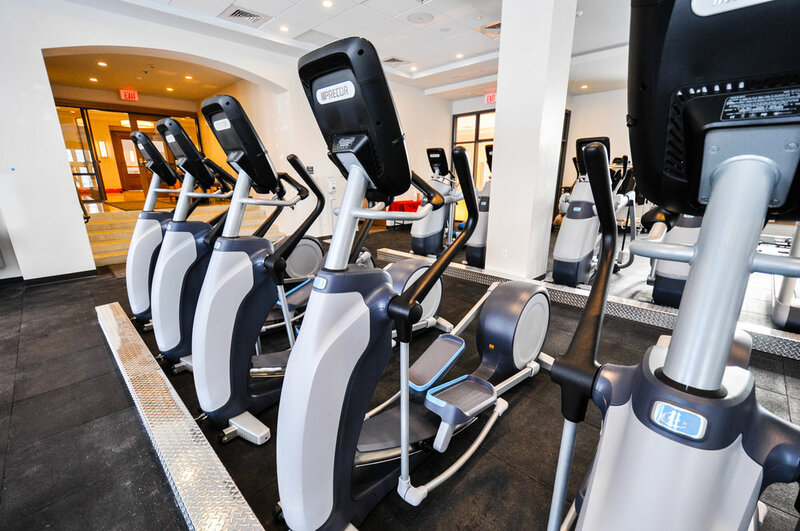 Marist College, a private university located in Poughkeepsie, NY recently opened their newest fitness center. This center is located in Building D—part of a four-building housing expansion on the north end of Marist’s campus. This fitness center came about to relieve the pressure on the campus’ only gym, the James A. McCann Recreation Center. 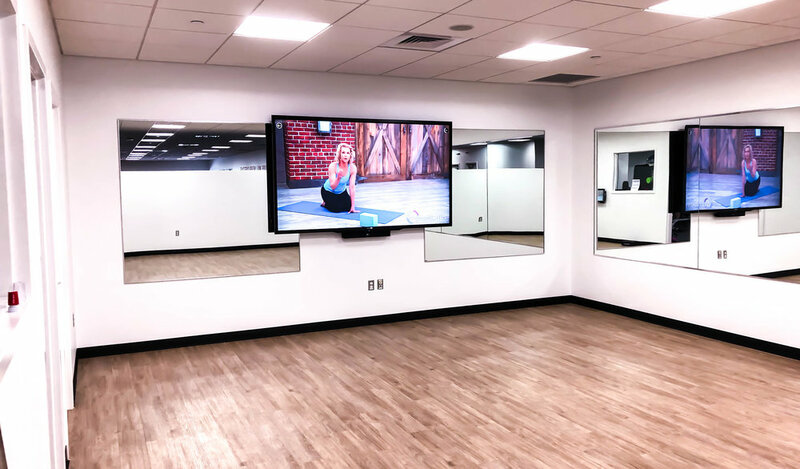 Advantage recently partnered with Olympus Corporation of the Americas to bring their employees a premium corporate fitness center. Situated at an ideal location in the foothills of the Blue Ridge Mountains, Champion Hills is a top-ranked, year-round golf club with members and residents hailing from over 36 states. Located in Tarrytown, NY, Hackley School is a private preparatory school focused on academic excellence and building a strong community among students, faculty, and staff.